New Jersey National Guard Soldiers and Airmen now have a place to turn when deployment medical issues threaten to overwhelm them. The Healers and Heroes Program, also known as 2H, was unveiled by the Medical Society of New Jersey and the New Jersey Department of Military and Veterans Affairs during a news conference at the State House in Trenton on April 5. The idea is simple, create a network of New Jersey physicians who are in or have served in the military and have them be available to returning service members. "By using physicians with military experience, the Soldiers and Airmen of the New Jersey National Guard will be reassured their doctor understands their needs," said Maj. Gen. Glenn K. Rieth. That shared experience of being in the military can serve as the bridge between the service member and the medical community. Guardsmen will be able to speak confidentially to physicians about their health care issues and in turn the doctors will be able to direct the Soldier or Airman to the proper resource to address their problems. While the goal of the program is to address any medical issue the service member is suffering from, one area that is receiving special attention is post-traumatic stress disorder (PTSD) and traumatic brain injury (TBI). According to the National Center for PTSD website, PTSD symptoms usually start soon after the traumatic event, but they may not happen until months or years later. They also may come and go over many years. Often referred to as the "invisible wounds", a RAND Corporation Center for Military Health Policy study indicates that approximately 20 percent of returning service members suffer from PTSD and another 18.5 percent are affected by some form of TBI. 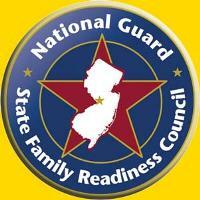 The New Jersey National Guard State Family Readiness Council has increased the amounts of family and business grants up to $5,000 and $10,000, respectively. Both grants are known as TIER I grants. TIER II family grants are also available to New Jersey Army and Air National Guard nondeployed servicemembers who served on State Active Duty or State Missions (e.g., hurricanes, floods, border missions) for more than 20 consecutive days. Servicemembers meeting these criteria are eligible to apply for a financial hardship grant up to $1,500. Applications are available at all Family Assistance Centers.